You don't need a Master's degree in church history to appreciate this one. 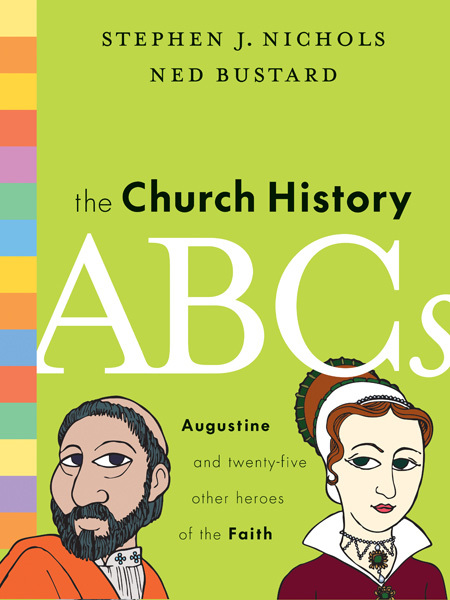 Here's a new-ish book that alphabetically highlights 26 heroes in the history of the Church - aptly titled The Church History ABC's. The authors have taken a different person for each letter of the alphabet and written a very short biography about that person and their contribution to the Church. This book is colorful and bright, and the artwork is great. Naturally, it's aimed at helping children learn their ABC's, while simultaneously exposing them to some godly men and women whose names they'll be well-served to know. (But if you're knowledge of church history is a little spotty, don't worry - you don't have to tell anyone you bought it for yourself.) Click the picture below to take a look inside.